Everyone loves eating sweets and we all know how sweet Mums are, so this card is perfect for all Mums! The cheerful colours are ideal to wish your Mum a sweet and fun day this Mother’s Day. 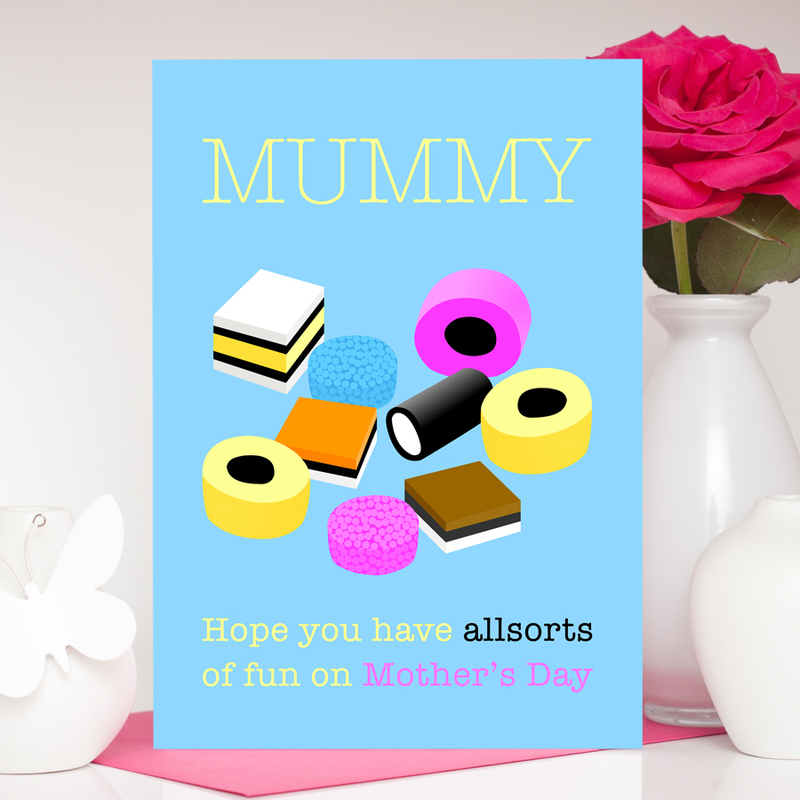 The design features a selection of delicious liquorice allsorts, set against a beautiful blue background, with the phrase ‘Hope you have allsorts of fun on Mother’s Day’. This card is available in A6 and A5 size. 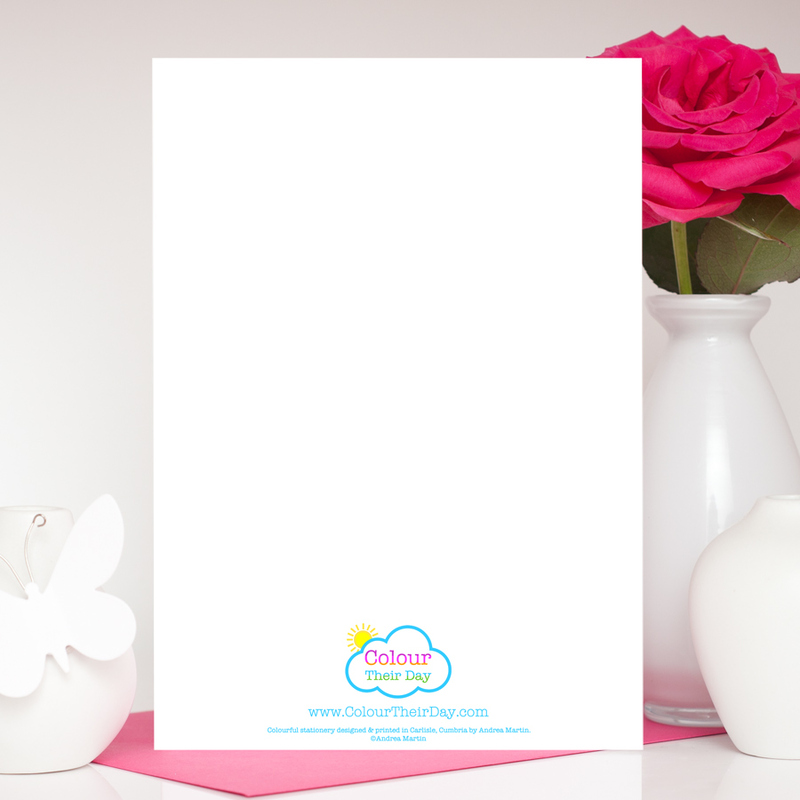 The A5 size can also be personalised by adding any name across the top of the design. Please select which you would like and fill in the relevant details. The card is blank inside for your own special message. Be the first to review “Liquorice Allsorts Mother’s Day Card” Click here to cancel reply.